One of the wonderful things about the harp is that it calms the mind. In addition to that, it relaxes the body and soothes the soul. Some say that it even aids in medicine and healing. 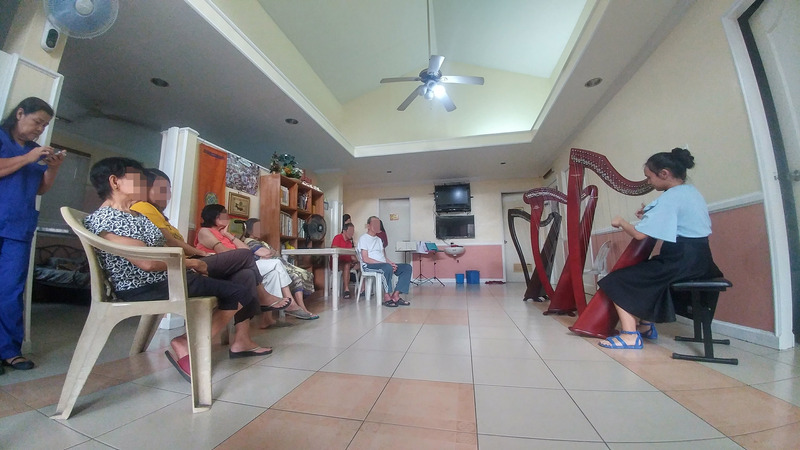 There are a growing number of harpists in the world who focus part or all of their talents in the budding field of harp therapy. To us, we've seen how harp music changes and lifts a persons mood and brings peace to the heart. That is why together with our students, we go and bring harp music to people with Alzheimers, cancer, and other ailments. 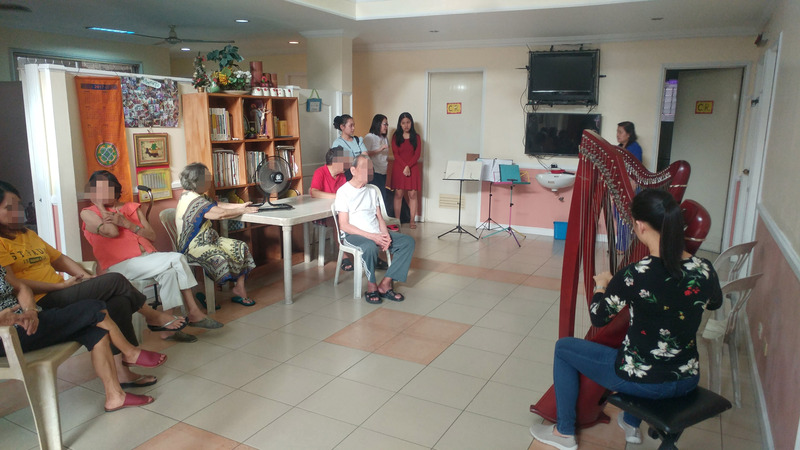 This September, it was the Noli Home for Alzheimers Patients near the AFP Hospital in V. Luna avenue, Quezon City. 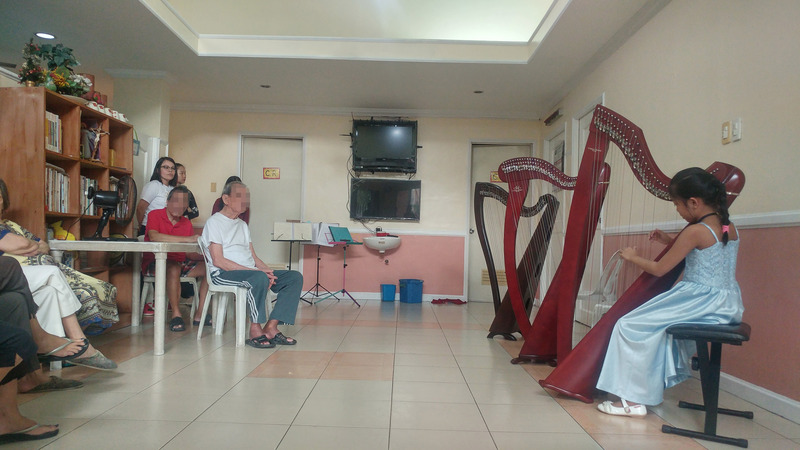 We were privileged to play the harp in front of all their patients and medical staff, with some of the Alzheimers patients even singing along when their memory is rekindled by a familiar tune. What an amazing experience! Aside from bringing wonderful music to people who otherwise would never hear a harp played live, it also trains our students to be braver in performing in front of a live audience. 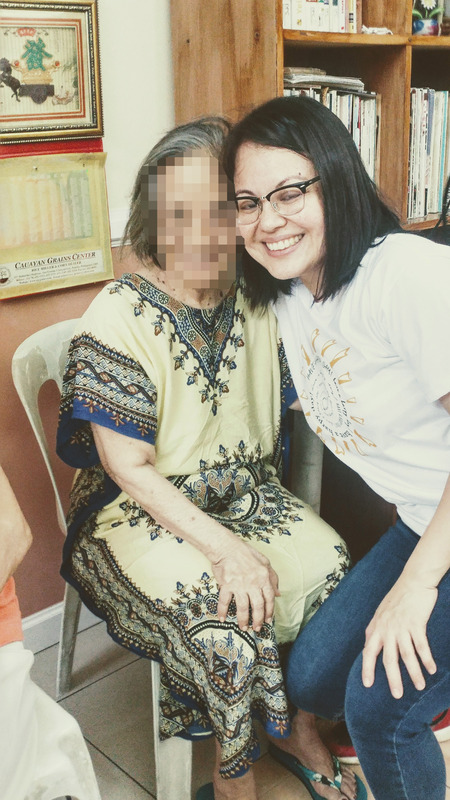 But more important than that, it gives them the chance to connect and empathize with people who are sick and in need. This not only makes them better harpists, but better human beings as well. In the Bible, it is mentioned that whenever an evil spirit attacked king Saul, David would get his harp and play, and the evil spirit would leave. One would think it was the harp that was used in driving the spirit away. But nay, the state of the person is of more importance than the instrument; It was the hands of David that played the harp, but it was his heart that was connected to God. There is something truly spiritual with this most wondrous of instruments.